1. What is a postal scale? 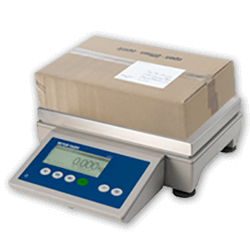 Postal scales and shipping scales can help you perform your routine weighing tasks quickly and accurately. Our postal and shipping scales are perfect for postal applications, such mailrooms, offices, warehouse packing stations, shipping departments and retail parcel stores. 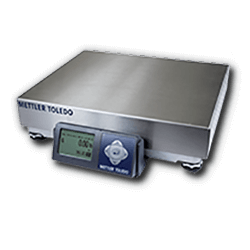 METTLER TOLEDO postal scales are the perfect basic solution for applications in which simple weighing is needed. 2. What applications use a postal or shipping scale? Postal scales and shipping scales are multi-functional for accurate weighing in a variety of applications—from self-service and sorting to point-of-sale and dynamic weighing. Our BC postal and shipping scales were designed with the needs of mailrooms, offices, warehouse packing stations, shipping departments and retail parcel stores in mind. 3. How can a postal scale improve efficiency? In postal weighing applications, speed and accuracy are critical. Enhance productivity with speedier processes and make the weighing process easier for operators by using our postal scales in your mailroom, shipping area or retail parcel store today. Designed for fast and easy weighing, six clearly structured large format keys with tactile feedback combine with the simple to use LCD display for fast and clear results. They are easily connected to PCs with multiple options for connectivity, including serial, USB, virtual serial, keyword wedge, Ethernet and Bluetooth. These postal scales are easy to use with an intuitive interface with a graphical display that has functional soft keys and a navigation keypad. Built to withstand over 500% overload while still weighing accurately, the BC Postal and Shipping Scales were designed with the demands of a fast-paced shipping environment in mind. 4. How are METTLER TOLEDO postal scales different than other companies' scales? In addition to a great product, we also offer service for postal scales. We are offer a global service network that is fully trained in all postal and shipping applications. From postcards to heavy parcels, METTLER TOLEDO supplies the top solutions for weighing, dimensioning and sorting. Our many years of experience serving many national postal organizations, express shippers and postal suppliers has given us the know-how to provide you with the best postal and shipping scales and solutions for your application. Dimensioning, Weighing & Scanning (DWS) systems are used by parcel express companies to identify, weigh and measure the goods they transport. Our new DWS buyer's guide provides practical and educational information to both experienced and first-time buyers of DWS systems. It highlights the options available today and what must be considered when selecting and implementing new equipment.